I just met with yet another HR head fired unceremoniously from an embattled tech firm. HR heads may last longer than sales leads, but they still probably make the top three “most likely to get fired” list among Silicon Valley tech execs. And among HR execs already at risk, one group is on more tenuous ground than the others: change agents. Here’s the typical scenario: The company has merged, been acquired, or acquired a large firm, or, worse yet, something Big, Bad and Public happened, and the board ordered the CEO to bring on a new head of HR. ASAP. The board wants change; the CEO must deliver it. They hire an HR leader to make it happen. They bring on someone aggressive, tough-as-nails, willing to make tough decisions, and content to break things along the way. It’s a tough job, but for the right person it can be professionally transformative. Some CEOs think that hiring a new head of talent or CHRO is all they need to do to create a strong culture and instate strong hiring processes. Before accepting any senior HR job, make sure the CEO is willing to truly partner with you. Find out how much energy he is willing to devote to supporting your work. Check out his track record on the topic: Ask how often he met with the previous HR head, and ask if he felt that was sufficient. Determine how engaged he is in this search. If he barely makes the time to meet with you during the recruiting process, how much time do you think he’ll make once you’ve started? I know a head of HR who literally got one five-minute meeting with the CEO during her first six months on the job. Those were also her last six months on the job. Sometimes the CEO is engaged with the business but still isn’t a strong leader. Weak leaders can become strong leaders with enough support, but only when the leaders recognize their weaknesses and work to address them. Some CEOs avoid tough decisions like the plague or act more out of concern for their own jobs and professional reputations than for concern about the long-term success of their firm (Note that this is less common with founder CEOs). 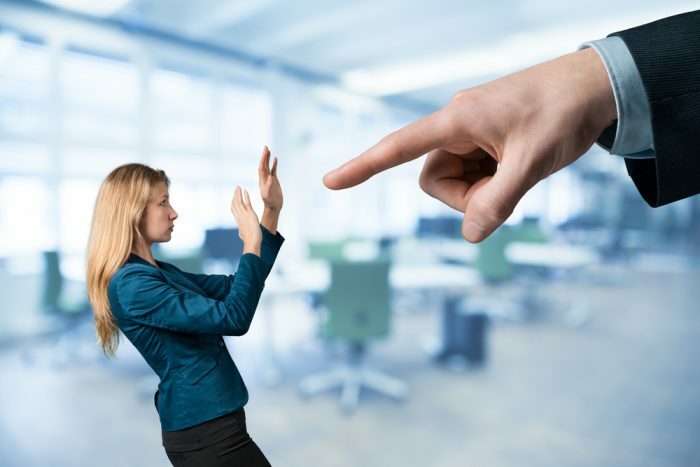 It’s not as uncommon as it should be for a CEO to deflect blame to the HR head regarding frustrations with corporate turn-arounds — and there are always frustrations with corporate turn-arounds. Make sure you’re joining forces with a CEO who has your back (should you deserve it). And make sure you’re up for doing the same (should he deserve it). Change is hard, and no matter how much it may be needed, there are going to be stakeholders working hard to prevent it from taking place. Often, the proponents of stagnation are the very people who caused the problems to begin with, be they senior managers who rose beyond their skill levels or training or who are seeking to hide certain bad behaviors, from shady workplace practices to nepotism. You’d be amazed by how much some companies spend on various consultants who just happen to be family or close, long-time friends of executives. In other cases, it’s less nefarious, and executives have built out their individual domains in response to previously existing competency vacuums within HR. You could find that each department engages a different search firm directly, since historically HR couldn’t source candidates effectively for them. It’s important to gain the confidence of department heads and work closely with them so they understand the value of streamlined systems. If I work out non-stop and then have plastic surgery to boot, I might have legs like Giselle’s, but I still won’t be a supermodel. Changing corporate culture, hiring and retaining strong people, and putting strong systems into place are major undertakings. They can’t be successful unless all senior leaders – from the department heads through the board members – are bought into the goals. Sometimes it’s simply a problem of chemistry. Senior managers, the CEO and the head of HR all want change, but the job still doesn’t go well. Maybe it has nothing to do with HR. It could stem from lack of product innovation or with competitive issues. Sometimes there’s simply a mismatch in personalities and skills between the CEO and HR leader. Maybe the CEO was looking for a strategic business advisor, but instead hired a benefits expert. Ram Charan argues in Harvard Business Review that HR should be split into two disciplines: 1) the strategists with operations expertise to advise the CEO on people and; 2) the process-oriented generalists to focus on compensation and benefits. While I don’t agree with this suggestion, it is not uncommon to find a mismatch between what the CEO wants and what the CHRO has to offer. Of course, a good search firm should never allow the CHROs or CEOs to find themselves in that situation! The point of this article isn’t to dissuade HR execs from accepting risk when looking at new jobs. Quite the contrary: often the higher the risk the higher the potential reward, and the right turn-around story could launch one’s career into the stratosphere. Work with a strong executive search firm that will be honest with you about the challenges inherent in the role. If the search isn’t being led by a strong search firm, take matters into your own hands and seek out current or past company insiders who can fill in the information gaps on any role you’re considering. Get the CEO to agree ahead of time to the sorts of parameters you’ll need in order to be successful – especially if you’re concerned about whether the CEO is willing or able to be your true partner. Discuss the importance of public shows of support, especially around the tough decisions, and the value of being invited to senior leader meetings to showcase the vital importance of talent to the firm. Negotiate a good package, including 12-18 months’ severance, just in case it ends up being necessary. These terms are no longer popular, but for the higher risk positions, it can be an important part of risk mitigation. Jumping into the deep-end with a meaty, challenging new role can often be an amazing experience; just make sure there’s enough water in the pool before you do so. Valerie Frederickson is the founder and CEO of HR consulting and executive search firm FPL Partners. Clients include Facebook, Microsoft, Pinterest, Twitter, Uber, Genentech and other technology, media, biotech, and fintech startups and established firms.